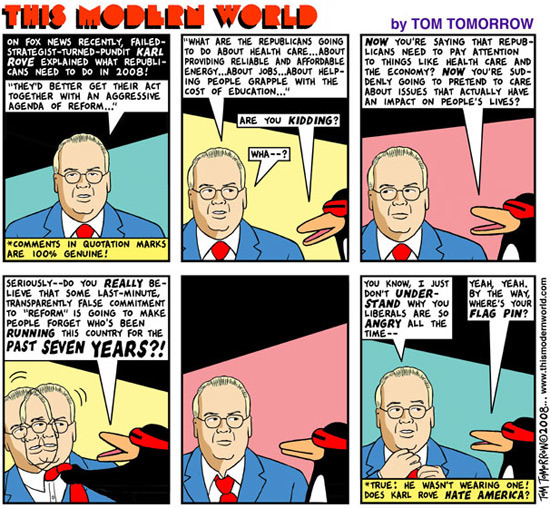 Political Irony › Does Karl Rove Hate America? Will the Real Karl Rove Please Shut Up? This was written by Iron Knee. Posted on Monday, May 26, 2008, at 8:33 pm. Filed under Humor. Bookmark the permalink. Follow comments here with the RSS feed. Both comments and trackbacks are currently closed.